Shakira will meet with fans in Istanbul on July 11 for her sixth world tour "El Dorado," which is the also the name of her latest album. The pop superstar diva will take the stage at Vodafone Park with the organization of the BKM (Beşiktaş Cultural Center). The tour, which started on June 3, is organized by Live Nation. 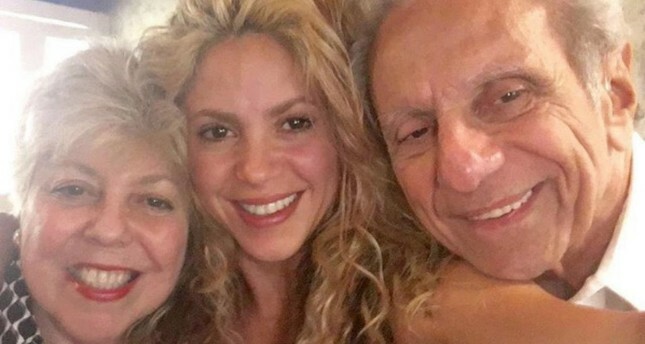 The Colombian singer, who has 12 Grammy awards, will come to Turkey with her parents, William Mebarek Chadid and Nidia del Carmen, and brother, Tonio Mebarek. They will visit the Sultanahmet Square, Sultanahmet Mosque, Topkapı Palace and the Grand Bazaar. The beautiful singer of Lebanese origin has decided to take her family with her to Istanbul because she will perform in Lebanon next. She told reporters that she is so happy to be performing in Istanbul after 11 years. Shakira also said that Gerard Pique, her husband, will join them after Spain bid farewell to the World Cup. The Spanish national, Pique, had promised Arda Turan that he would come to Istanbul when they were teammates in Barcelona.